REDUCE, REUSE AND RECYCLE- Look for and Buy Environmentally Friendly Products. Look for things like: "paper from paper", "100% recycled", "made without ozone depleting chemicals", and "made from post-consumer recycled materials". Be aware of the environmental impact your purchases will have. As more consumers begin to demand environmentally sensitive goods, it will become profitable for industries to manufacture environmentally friendly products. Buy products that will last; choose products that come in packaging that can be easily recycled in your community. Reducing waste does not mean you have to reduce what you buy, it means shopping with the environment in mind. Consider the environmental impact of each product before you buy it. Make a list of what you need before you go shopping; this will reduce impulse buying. Buy in bulk. It is cheaper and eliminates small containers and excess packaging, which accounts for 50 percent of our domestic trash. Use concentrated, multi-purpose products (like laundry soap with non-chlorine bleach), products sold in bulk. Learning to reuse is easy and after a little practice, it will become second nature. Before throwing anything away, think about how each item can be reused. Be sure to use both sides of a piece of paper before recycling it. Recycling means collecting, processing, marketing, and ultimately using materials that were once discarded. Many different materials can be recycled. Among these are aluminum cans, glass bottles and jars, plastics, tin cans, steel cans, brass, copper, car batteries, computer paper, office paper, corrugated cardboard, motor oil, scrap iron and steel, and tires. Roughly 50 billion plastic water bottles end up in U.S. landfills each year — 140 million every day! That’s enough, laid end to end, to reach China and back each day. 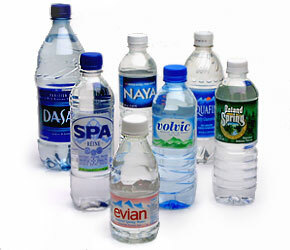 In 2008, Americans drank an average 215 bottles of water each for a total of 66 billion bottles. Of that total, only 22% was recycled. We are shipping 1 billion water bottles a week around the U.S. in ships, trains, and trucks. Plastic pollution is a world-wide problem. There is a growing "garbage patch" of plastic estimated to be more than twice the size of Texas floating in the North Pacific Ocean. Ecosystems and wildlife are negatively impacted by plastic debris. 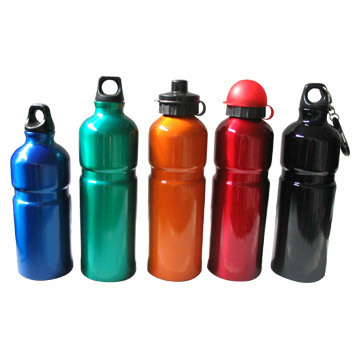 Disposable plastic water bottles are made out of oil which is a finite natural resource. Plastic bottles require energy to make and transport. Currently, the amount of oil we use to produce water bottles each year (17 million barrels) could fuel over 1,000,000 cars for an entire year. Use reusable containers to store food in your refrigerator instead of aluminum foil or plastic wrap. Keep rags in your kitchen to wipe spills instead of paper towels. Take your own bag when shopping, don't use the plastic or paper one from the shop, every year 3 billion bags are given away by supermarkets, that's enough plastic to make a carrier bag big enough to hold the moon twice over! 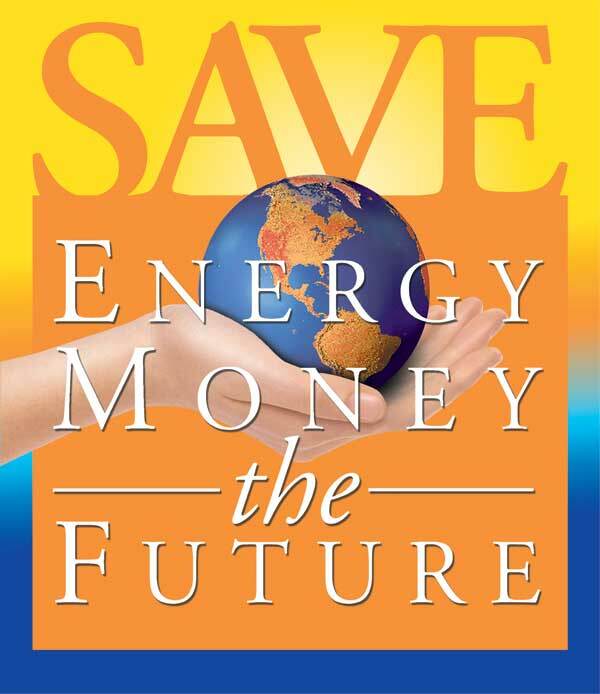 SAVE ENERGY- If each U.S. household increased the energy efficiency of our major appliances by 10 to 30%, we'd reduce the demand for electricity by the equivalent of 25 large power plants. Energy use in the home is responsible for 30 per cent of energy related carbon dioxide (C02) emissions which is a primary contributor to global warming. Americans buy 2.2 million light bulbs every day. We flick a light switch dozens of times a day without thinking, but it's time to give it some thought. According to the World Resources Institute, lighting accounts for about 20 percent of all the electricity used in the United States (5 percent residential, 15 percent commercial), and 10 percent of all the emissions of CO2, the main greenhouse gas. Replace incandescent light bulbs with compact fluorescents. The standard incandescent bulbs currently lighting your home have changed very little from Thomas Edison's first light bulb in 1879. Only 10% of the energy used by these standard bulbs contributes to light; the other 90% is wasted as heat. In fact, incandescent lights burn hot enough to fry an egg! And what about halogen lights? A typical halogen bulb burns at 1,000 degrees F. These old-fashioned light bulbs waste energy and can potentially cause burns or fires. Compact Fluorescent Light Bulbs use 75% less energy than a standard incandescent bulb and last up to 10 times longer. This means that over the life of one CFL, you can avoid replacing up to 13 incandescent bulbs! The exterior of your home is called the “envelope” or “shell.” The envelope is made up of the outer walls, ceiling, windows, and floor. It is common to find both old and new homes that have poorly performing “envelopes” – that is, they have drafty air leaks and are poorly insulated. 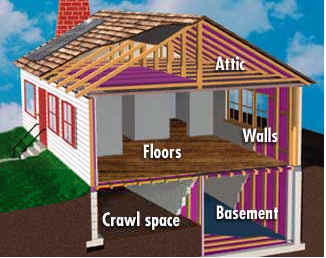 An envelope that performs poorly leads to an uncomfortable home and higher heating and cooling bills. This is especially true when the weather outside is very cold or hot. 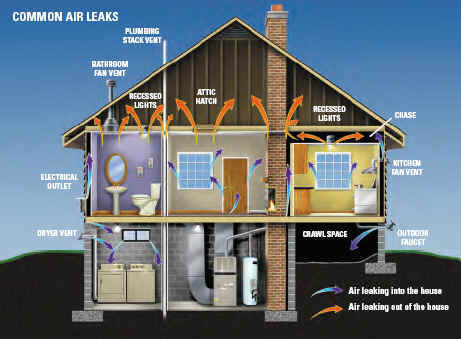 Sealing air leaks and adding insulation can increase your home’s overall comfort, as well as reduce heating and cooling bills. Insulate -Start with caulking and weather-stripping on doorways and windows. You can increase the comfort of your home while reducing your heating and cooling needs by up to 30% by investing just a few hundred dollars in proper insulation and weatherization products. Electric washers and dryers can consume as much as 25 percent of the electricity used at home, including hot water for the wash.
As much as 90 percent of the energy consumed by washing machines heats the water. Reducing water temperature reduces energy consumption. Few fabrics need to be washed in hot water these days. 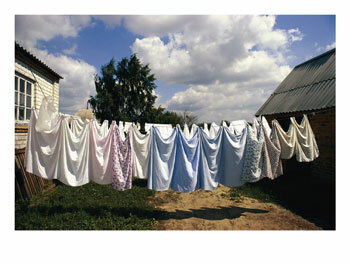 With today's detergents, many lightly soiled clothes can come clean even in cold water. Conventional washing machines use about 15 percent of the water in homes that have them. Each wash cycle uses 32 to 59 gallons, as much as two showers. New-generation resource- efficient clothes washers save energy, water and wastewater, and save you money in the long run. Clean the dryer's lint filter after each use. That allows the air to circulate efficiently. The harder it is for air to circulate past your clothes, the longer the dryer must run. Dry full loads, but don't overload your dryer. The clothes need room to tumble. If your dryer has a moisture sensor setting, use it. It will shut off the dryer automatically when the clothes are dry and typically cuts energy use by 10 percent to 15 percent. Dry heavy and light fabrics separately. That way, all clothes in the load will be dried at once. Don't add wet items to a load that already is partly dry. Try drying loads consecutively to take advantage of built-up heat. Try using a clothes line. It's natural, it's old-fashioned and the energy is free. For small loads such as socks and underwear, try a small indoor drying rack. Use cooler water temperature to wash clothes. 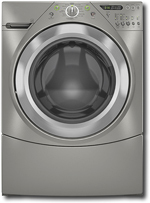 Clothes washers use energy to both clean clothes and heat water. If you're in the market for a new washer, replace your old one with an ENERGY STAR qualified model. ENERGY STAR qualified clothes washers use 35-50% less water and 50% less energy per load; that's real energy and money savings. Get a furnace tune-up-40% of the energy you use in your home is for heat. Set your water heater temperature at the "normal" setting (no higher than 120 degrees F). This can save up to 11% of your water heating costs. Second, make a quick trip to the hardware store or home improvement center for a hot water insulation kit to wrap your water heater and save on water heating costs. Drive less-plan your trips to be more efficient or walk or ride a bike. Driving gas-guzzling cars should become as unfashionable as wearing fur and that the vogue for buying four-wheel drives, which consume far more fuel than ordinary vehicles, is "totally illogical" says Sir Mark Moody-Stuart, Chairman of the Committee of Managing Directors(CMD) of the Royal Dutch/Shell Group of Companies and Chairman of The "Shell" Transport and Trading Company, plc., in an interview in the U.K. newspaper the Independant. Fixing a car that is noticeably out of tune can improve gas mileage by about 4%. Repairing a faulty oxygen sensor can improve fuel economy by much more! Replacing a clogged air filter can significantly improve gas mileage. Keeping tires infl ated to the recommended pressure and using the recommended grade of motor oil can improve fuel economy by up to 5%. The manufacturer’s recommended tire pressure can be found on the tire information placard and/or vehicle certification label located on the vehicle door edge, doorpost, glove-box door, or inside the trunk lid. A warmed-up engine is more fuel effi cient than a cold one. Many short trips taken from a cold start can use twice as much fuel as one multipurpose trip covering the same distance when the engine is warmed up and effi cient. Note: Letting your car idle to warm-up doesn’t help your fuel economy, it actually uses more fuel and creates more pollution. Aggressive driving (speeding and rapid acceleration and braking) can lower your gas mileage by as much as 33% at highway speeds and 5% around town. Observe the speed limit—each 5 miles per hour (mph) you drive over 60 mph can reduce your fuel economy by 10%. Avoid idling—idling gets 0 miles per gallon! In The United States the use of SUVS (Suburban Utility Vehicles) is the latest fad and passion. SUVS on average release 5,600 pounds of CO2 into the atmosphere each year, double the amount of the average car driven the same distance. Air travel has become commonplace for vacationers, but not with out it's unseen costs to the environment. A round trip flight from New York to Los Angeles releases as much as one automobile does in an entire year. On a yearly basis all air travel releases 600 million tons of carbon dioxide into the atmosphere. Think before you drive or fly. Install high-efficiency shower heads, that use about 2.2 gallons of water per minute, and faucet aerators. Showers account for 32% of home water use. The normal faucet flow is three to five gallons of water per minute (gpm). Attaching a faucet aerator reduces the flow by 50 percent. Though the flow is reduced, it will seem stronger because air is mixed with the water as it leaves the tap. Installing energy-efficient aerators on kitchen and bathroom faucets will save hot water. It also will cut water use by as much as 280 gallons a month for a typical family of four. That's more than 3,300 gallons a year for one family. If only 10,000 four-member families install energy-efficient aerators, we'll still save more than 33 million gallons a year. Replace your standard 5-7 gallon-per-flush toilet with the new water-saving models that use only 1.6 gallons of water per flush: a cheaper and easier way to save is to install a "displacement device"-put a plastic bottle filled with water in your toilet tank- it can save thousands of gallons of water annually. Fix dripping faucets and other leaks. Don't leave the tap running while you brush your teeth, shave or wash the dishes-you will save thousands of gallons of water annually. Use cloth napkins and dish towels instead of paper. Buy food and other products wrapped in the least amount of packaging possible. Choose reusable dishes and cups and metal silverware in place of paper, plastic or styrofoam. VOTE- Support candidates who pledge to protect the environment. Once a candidate is elected, monitor his or her voting record; keep in regular contact through testimony, letters, e-mail and telephone. Don't ever believe that your vote won't make a difference. John F. Kennedy won the presidency in 1960 by the tiny fraction of a single vote per voting precinct. George Bush beat Al Gore by less than 700 votes in Florida to become President. LEARN MORE- Buy a book on the environment or endangered species. Become an advocate and tell your family and friends about the crisis. Do it now. Do it with a sense of urgency.